This season of Most Haunted has been an interesting one, mainly due to the fact we caught two moments whereby they blatantly faked paranormal evidence, we had the overlay video effect of Stuart pretending to be a ghost, which coincided with a huge PR push by Most Haunted, and then video of Fred clearly throwing something. Well in Episode 8 (Standon Hall in Staffordshire Part 1) that aired Friday 2nd June 2017, the big stunt was a knife being thrown off camera. Well usually when something happens off camera, it is done to stop annoying people like me exposing it. Well thanks to some of our excellent BadPsychics members, we have spotted something interesting. First take a look at the whole scene as recorded by Ann B, and see if you can spot anything interesting. Watching the whole seen in context of what is about to happen, it is prety obvious that Karl gets everyone to turn their backs (and cameras) on him and look outside after he claims he saw something. That in itself would give him chance to swipe the knife, ready to be thrown seconds later. 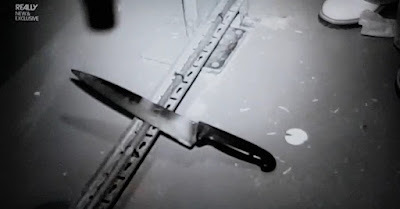 But there is no footage of him taking the knife, or throwing it, so even if you are suspicious, the claim that a ghost did it can still be claimed (however ridiculous that sounds). Well what if the knife has moved BEFORE it was thrown? 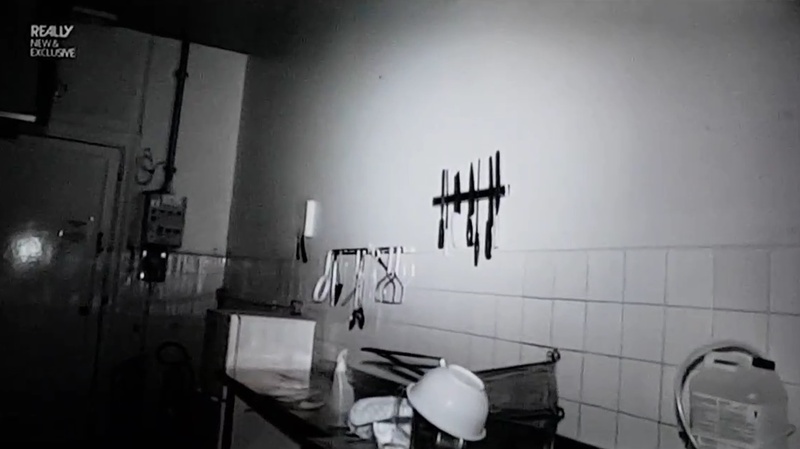 At about 15 seconds into the footage above, you can clearly see the knives on the rack on the wall. 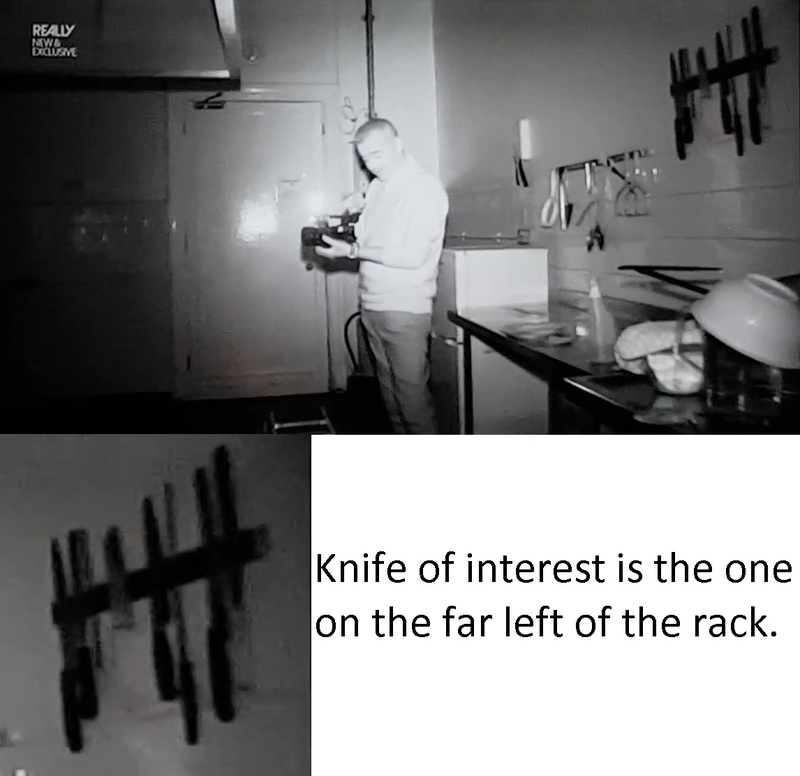 So as Karl tells everyone to turn around and look outside the knife is clearly still on the rack. As the footage rolls, we cut from Karls camera to that of Darren I think or Greg, can never tell them apart. So now Karl is off camera, and we can not see his camera feed. We get a few jumps between different feeds, then we get this shot at 49 seconds into the footage above. 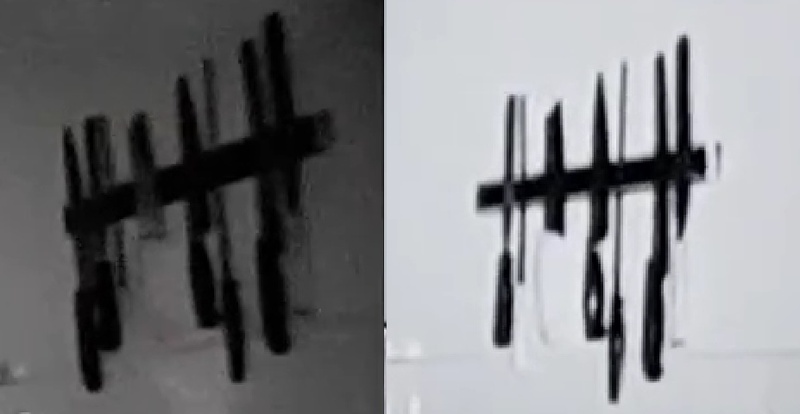 Lets put the two shots of the knives side by side. Have you spotted the change? Yes when everyone was turned around, and Karl was stood next to the rack of knives, the knife that is later to be thrown, has disappeared. So the question is, with Karl stood right there, within feet of the knives, nobody looking at him or filming him, a knife that is later to be thrown has been removed from the rack. So has a ghost picked it up, and is now just holding it waiting for the best chance to throw it? Or has Karl swiped it ready for his stunt in just a few seconds time? 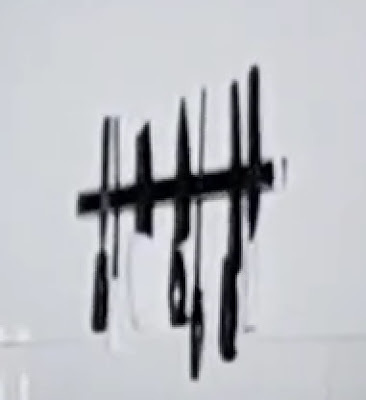 Note how right after the footage showing the knife missing, they all decide to leave pretty much straight away, Karl is the last person leaving the room and would have only have had to hold the knife for a few seconds. He then tossed it back to where he was stood before, and hope it landed in a decent place and not hidden under a counter. As usual I will get accused of manipulating the footage, and so on, so here is a link to the UKTV site, where you can go watch the episode yourself. It is Series 19 episode 8, so you can find it. The clip above is about 37 minutes into the episode, so you can find it all. If you appreciate this site and my work you can donate an Amazon Email Gift Voucher to me to show your appreciation. This is the best way to show your appreciation for the work I do. So if you enjoy the site, then how about donating me a voucher, and I promise I will only spend it on good stuff like video games or whiskey! And if not thats ok too. I will keep doing my reviews regardless. I have an issue with this whole thing. The place was pretty well cleared out when they closed down the care home. Why randomly leave a rack of knives & kitchen utensils on the wall? Surely someone would have noticed & taken them. So someone could throw it. Wat about the exploding flower n vases. Greg runs ahead, apparently seen someone. Then crash, wallop bang, n the vase has smashed..karl or another member?? ?